Phoenix French Bulldog Rescue, regd charity no 1171943, rescued over 140 French Bulldogs last year alone – and helped to rehabilitate many more simply by providing support and education. We expect our monthly vet bills to be around £3000 but any large procedure can push that amount much higher: Lupin needed double heart valve surgery, costing almost £4K but now has a full, happy and healthy life; many rescued dogs need palate surgery to improve their airways, at around £600-1000; Frenchies have notoriously narrow ear canals and often need ear canal surgery at around £600-800 per ear. All are neutered before adoption – males cost around £120, females around £160-180. Vaccinations usually need restarting at around £50-60 for a course. 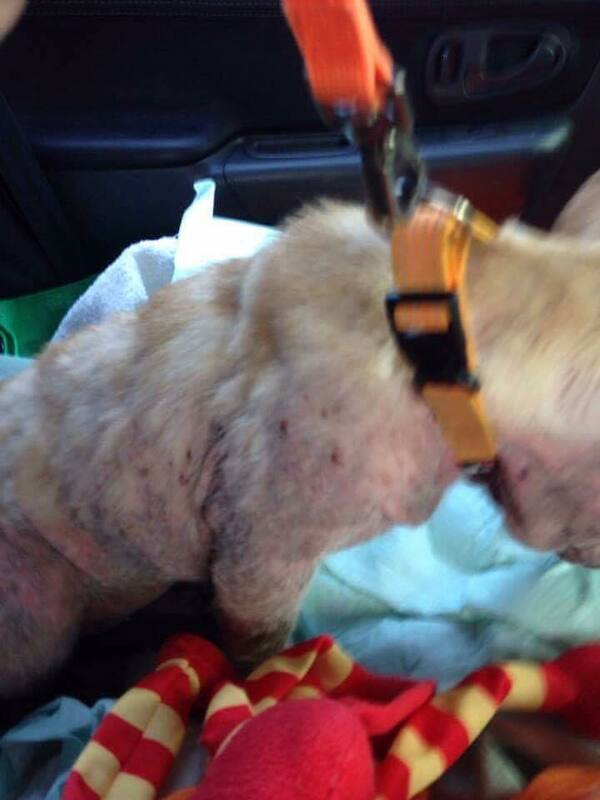 We see more and more dogs affected with demodex (see below) – an awful condition leaving their skin red-raw, itching and cracking, with terrible fur loss and an horrid smell, caused by mites livng in their skin. This is truly horrible but can be mended with medication, time and love. The latter are free, thanks to our fabulous volunteers, but the medication is more costly. And so much of this is standard and does not include the flea and worm treatments, anti-anxiety remedies for the traumatised (many more of these are being seen), regular vet check-ups, the surgeries for any injuries, antibiotics …. the list is endless. With your help we can concentrate on the dog, and not the costs, to make sure we give them the very best care to set them up for their Forever Homes and the lives they truly deserve. We never want to find ourselves in a position where we cannot treat a dog purely on financial grounds, but that could happen. Please help us to help the Frenchies, they need you now more than ever. Text PFBR01 and an £amount to 70070 to donate to Phoenix French Bulldog Rescue and make a difference today. JustTextGiving by Vodafone. Use 70070 as the number to text and simply put PFBR01, or PFBR05 or PFBR10 in the message with the amount you would like to donate, press send as you would with any other text message. Don’t forget – all you need to do is click before you shop! We use Amazon all the time for bits to be sent out the dogs in care so I always click and get us some free cash at the same time! It doesn’t cost you a single penny – you just shop! Payment has never been easier. You can choose Paypal or bank transfer … so what are you waiting for? Could you help support French Bulldogs in our Care? We are often asked about ways of making monthly donations by standing order, direct debit etc but have you ever thought how much easier it might be if a small amount came directly from your salary every month, so you never have it to miss! Just a few pounds every month would help enormously.